It is starting to feel a lot like summer where we are! We are ready for sun, ice cream and of course a little alphabet work to keep up on our skills. These Summer Alphabet Printables includes a variety of activities. *Pair this with our Kindergarten Summer Printable Pack! Whether you are a parent trying to maintain your child’s skills, help them get ahead, or even a tutor for the summer, this printable pack is for you! 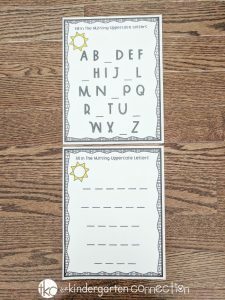 A fun summer spin on letter work to get you through until fall! 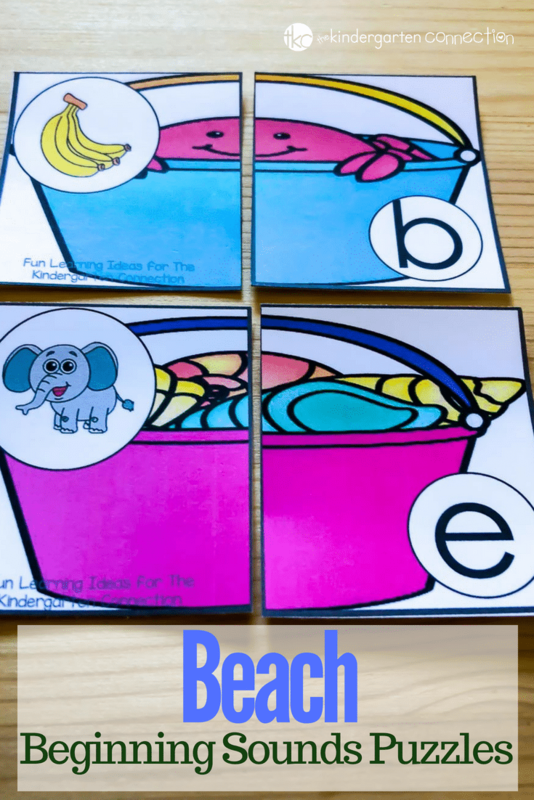 The first activity in the pack is an upper and lowercase letter match game. 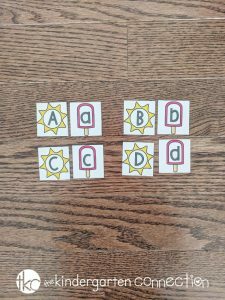 Children can match the uppercase suns with the lowercase popsicles. My daughter is young, so I only set out a few uppercase letters at a time and hand her the lowercase letters to match. This would work as a center literacy activity or pair children up for a game! Another option for differentiated teaching would be to give each set one at a time and have the child put them in alphabetical order. 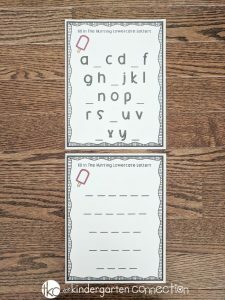 The next activity in the Summer Alphabet Printables pack is the uppercase letter fill-in-the-blank worksheet. We like to use a page protectors for these sheets so we can reuse them! Tip: For a more durable option, we like to laminate our pages for use over and over again! The first page has missing spots to fill in the blanks and the second page is completely blank! 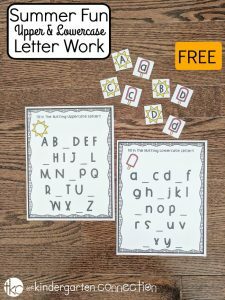 The last activity in the summer fun letter pack is the same as the uppercase letter worksheets but includes lowercase letters instead. After we filled in the missing spaces, my daughter used it to help fill in the completely blank worksheet. I really loved using page protectors for these worksheets. This way, as my daughter became more confident, she didn’t need the help of the first page! Ready for some out-of-school fun? You can add these activities to your summer bucket list by clicking the large, yellow button below. Then, hop on over and see our Summer Beach Beginning Sound Puzzles! Thank you so much for these awesome resources!!! Thank you for these pages!